We just wanted to let you know that we were very pleased and impressed with your company. From the initial contact with Teresa, to Jeannie and both drivers, Rich and Joe, everyone was professional and the process was flawless. It is nice to know that, in this day and age, that there are still companies that follow through and that provide customer service. We would not hesitite to use your services again. You were awesome to deal with. After a competing limousine company double booked us a week after confirming us for our wedding I immediately talked to Sandi. She put all my worries to rest and was organized and responsive throughout the planning process. She even left me with some wedding advice a few days before the wedding. We had Mike as our limo driver and he was such a nice guy. He got us to the venue even before the rest of our guests. The limo was clean and comfortable for our wedding party. ETA is top-notch and I did my fair share of shopping around quickly realizing how professionalism truly reflects quality service! When I called ETA Worldwide the week of my wedding to see if they could help me with my limo needs they not only said YES but they also gave me a great rate! Everyone at the office of ETA was so nice and helpful. Then on my wedding day – Rich pulled up ahead of time AND was ready to help us all get to Church on time! Even though we were all running around like chickens w/o heads … Rich was calm, cool and collected! He got us to the church on time and then after that he took us to the location of our photos then to the liquor store to get some drinks! He really was awesome! Thanks so much for everything! I wanted to thank you all for being part of our special day and making sure we were safe!! I never met drivers that were so attentive and caring making sure we were okay!! I was so upset that it was going to rain all day, but I never even got wet once!! I had an umbrella over me every moment I was outside!! THANK YOU!! I would, and have, recommend ETA to anyone in need of transportation services! The wedding was great. Butch was phenomenal and the limo was great. Can’t wait for Jamaica either!! I’d like to thank you for taking care of my sister and brother-in-law yesterday. Mike wasFANTASTIC and I will never travel any other way but with you again!! I just wanted to THANK YOU so much for making Danielle’s wedding extra special. Jerry Was fantastic and it was the talk of the reception. Thanks again for all of your help and a First Class experience. Hopefully, there will be more. I just wanted to thank you! Everything turned out great for Laura’s birthday and it was so great to have a limo to take us home! Thanks so much for everything! We had a great time and Jerry was excellent!! Thanks for the follow-up, everything was seamless, and Joe and Jerry were perfect. Sandra and I wanted to thank you so much for everything. Your exceptional services were greatly appreciated and will always be remembered. The limo driver helped make my niece’s Sweet Sixteen much more memorable. I would like to thank him so much, all the teens raved about how professional and great he was with them. He was really patient and polite with everyone, especially the teens. For that I truly thank him it isn’t easy working with teens, and he did an excellent job..As far as the limo itself it was absolutey gorgeous!! Once again, thank you so much for allowing us to render your exceptional services. Also look forward to utilizing them again in the near future. Thank you so much! Your drivers are very professional and wonderful people, we had a great time with them even though it was short. I will be referring your company to everyone I know. Thanks again. Carol and I want to thank you and your staff for the transportation services in Bevy’s wedding. We really appreciated the upgrade and will keep ETA in mind for our next event. Thank you for providing the transportation on our wedding day. Both the drivers were so friendly and accomodating. Your customer service is excellent and made it a pleasure to work with you. We will be sure to reccomend your company with high regards to anyone who is looking for transportation service. Thanks again! We would like to thank your company for your services you provided for our wedding! The driver was so friendly and professional!! We appreciate your helpfulness and will definitely be using your company again!! I wanted to say thank you for your professional and personal care of pur high profile visitor and her family. This visit was very important to my department. We wanted to make sure that the family had reliable, safe, courteous and professional care. Your company provided that given the excellent care of our guests. In addition, I wanted to send thanks to our driver, Bob. When there was a last minute change in dinner locations, he accommodated with no hesitation or problem. He was quite pleasant on the phone and he offered suggestions!! I truly value excellent customer service and professionalism. Thanks for arranging the car services with such late notice. Joe and Nick were fantastic! Thank you so much for the limo on Saturday! We had a great time at graduation. The limo and El- the driver- was great and he was so patient. It was perfect! We really appreciate your kindness! I just wanted to thank you and your company, for making the limo at Sean’ Bar Mitzvah the highlight of the evening. The driver was very sweet and great with the kids! I hope they didn’t drive him crazy. Thank you again and thank the driver for us as well. You will be hearing from us in the future, but for Adults only!!!!!! Rich was terrific, and right on time. Everything was great, and we won’t hesitate to use you again in the future. Aww great glad I could help, anytime!! Everything was wonderful as always, love the car worked great with size, and Margie is the best!! We had a wonderful time and she was so surprised J. Thank you again!!!! My wedding was so perfect!!! I am so happy with the services that I received from ETA Worldwide. Joe was so charming, attentive, and made every effort to ensure that I was on time. Thanks for all of your hard work and coordination. I was truly a happy Bride!! Honeymoon in Bermuda was great too. 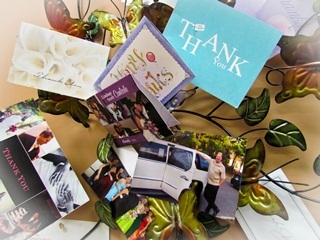 I would like to write you a formal thank you as well as make any referrals. I am a satisfied customer!! I want to thank you and Jeanne for all of your help over the last couple of months. You have been great, and my fiance and I really appreciate everything! We had a blast…thank you…Vonda was VERY surprised and Jerry was very professional!!! I wanted to thank you very much for the wonderful experience our children had on May 31st. Mike was right on time and so nice. We truly appreciate everything. We will definitely recommend your company to friends and family. I just wanted to thank you again for all your help. She said yes for the record….Everything went great and Jerry was incredible. Thanks so much. Jerry was our limo driver from the hotel, to the ceremony, and to the reception. He was great! Very friendly and professional. He was literally the first person we interacted with as a married couple. He was right there to greet us at the end of the aisle with 2 bottles of water for my parched husband and I. It was exactly what we needed at the time! Butch was our driver from the reception to our hotel that evening and he was great as well! It started to drizzle and he was nice enough to take a picture of us in the city. Just great service overall and I highly recommend them!